As I work to meet a writing deadline, I have been a bit quiet on my blog recently. However, I had to take five minutes out to post about Grandmaster Flash’s DJ set on Saturday night, at Dreamland, Margate. We arrived about 15 minutes before the hip-hop pioneer was due on stage, and quickly made our to the middle of the gathering crowd, to shield us from the cold wind blowing in from the East Kent coast. People standing ahead of us began to drift away for one reason or another, and by the time the DJ stepped onto the stage, I found myself stood at the front, just feet away from where he would work his magic. During the summer of 1984, my first summer as a teenager, I had spent countless hours at Dreamland. I can vividly remember one sunny afternoon, flying through the air on the Umbrellas as “White Lines” b y Grandmaster Flash and Melle Mel blasted out of the operator’s kiosk. To be back there, standing feet away from the American Rapper as he played and sang along to the track was pretty special. It was only surpassed by his special farewell to me. As he stepped off the podium to exit the stage, I caught Flash’s eye and held out my arms in a congratulatory gesture. He strode towards me and grabbed both my hands, as I told him how fantastic his set had been. I was definitely in the ‘fan zone’ by this point, and unaware of the 7,000 strong crowd behind me surging forward to get close to the Master, until I almost face-planted on the stage, under the force! Growing up in East Kent during the 80s meant many a summer’s day spent at Margate’s Dreamland, or Bembom Brothers Amusement Park, as it was known for the latter half of the decade. Catching the train from Faversham, and picking up friends in Whitstable and Herne Bay en route, we would arrive as the park gates opened at 10am, and stay until the sun went down and the fairground lights illuminated our screams and laughter. A lot of the rides from those halcyon days, such as the Looping Star, Mary Rose, Cyclone and the Water Chute, have long since departed the coastal town. However, firm favourites like the Scenic Railway, Big Wheel and Enterprise continue to stand proudly and operate in the park, since the its re-launch last year. You can imagine how excited I was when Dreamland agreed not only to let me undertake an 80’s photoshoot there, but allowed us to go on the rides too! So, as our photographer set to work with models Sophie and Robyn, I couldn’t resist giving the Scenic Railway a ‘test ride’, along with Deborah Ellis of Madam Popoff Vintage Emporium, our wardrobe stylist. The shoot was for a photo story which will appear in a publication I have coming out later this year, and I marvelled as I watched my the story I had written come to life. Yes, the storyline may have been cheesy, but seeing as we had travelled back to 1984 for the day, it was apt. When writing the story, I had integrated the rides and park features to the extent that removing them would have involved completely re-writing the plot. I had also worked on the assumption that everyone loved fairground rides as much as I do. Oops! Fortunately, both photographer and model overcame their fear of going on the Big Wheel, in order for the storyline to progress as planned. Similarly, Mason, one of ou r male models managed to stay upright in his roller boats long enough for us to get the shots we needed, without being knocked over by the speeding kids in the roller rink. I never entertained the possibility of a non-skater, when I wrote the story! So, a few lessons learned and some top class work from everyone involved, and we ended up with the perfect shots, not to mention having a lot a fun in the process. I can’t wait to see the final published result. Huge thanks to Dreamland for letting us have free reign in an iconic landmark, which holds a special place in my heart. A big thank you too to models Sophie, Robyn, Oli and Mason, photographer Alan Langley and his assistant, Olivia, make-up and hair stylists Nina Gregory and Hayley Edwards, and to Madam Popoff herself, Deborah Ellis. 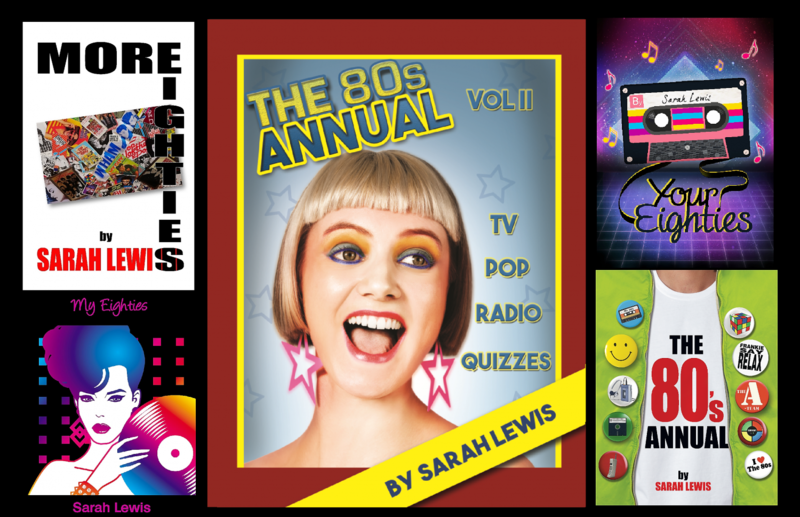 I look forward to joining Deborah at her Retro Party on 30th April, where I will be signing copies of ‘Your Eighties’ from 3pm to 5pm, alongside Punk Poet Garry Johnson and Bob Bradbury, lead singer of Hello. I hope to see some of you there. The last 7 days have been filled with carrying out and transcribing interviews for the next book. I have had the pleasure of chatting to Modern Romance’s Andy Kyriacou, Punk poet and former Stone Roses’ manager Garry Johnson, and producer Kevin Porée, who recently worked with Gary Barlow on Paul Young’s contribution to the Fly album, ‘People Like You’. With some more great interviews lined up this weekend, I almost forgot to mention another project with which I am involved. Madam Popoff Vintage in Margate and I are collaborating on an 80’s photoshoot in the seaside town next month. If you, or someone you know, are aged between 16 and 25, and would like to take part in the shoot on 5th April, then send us a photo via social media or email: admin@my-eighties.co.uk, and we’ll be in touch. Thanks!